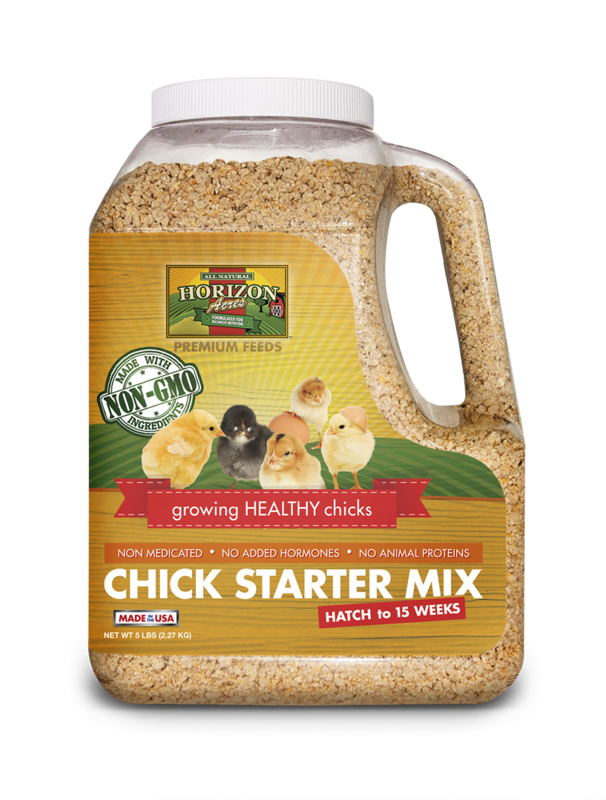 Chick Starter Mix is a Non-GMO complete feed in crumble form designed to be fed chicks intended for laying from hatch to 14 weeks. It contains no genetically modified ingredients, hormones or medication. It is formulated with 16% protein to aid in growth and Diamond V yeast culture, a natural probiotic, to aid in digestion. It is a natural, vitamin and mineral rich blend, perfect for raising quality laying hens to produce healthy delicious eggs. 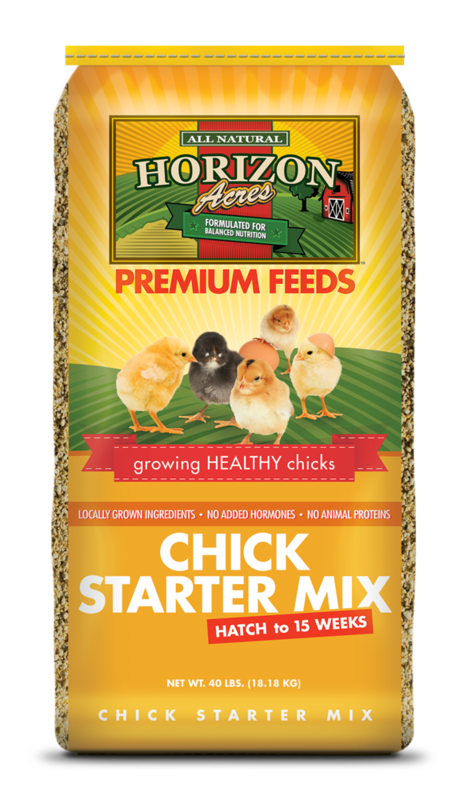 Chick Starter Mix is a complete feed in crumble form. It is designed to be fed to developing chicks from hatch to 14 weeks. Feed chicks free choice. It contains 16% protein and a natural probiotic to aid in digestion. It also contains Amprolium to help prevent coccidiosis. This vitamin and mineral rich blend is made from ingredients grown by Midwest farmers. It is perfect for raising quality laying hens to produce delicious eggs. It is available in a 50lb bag or a convenient 3lb jug.